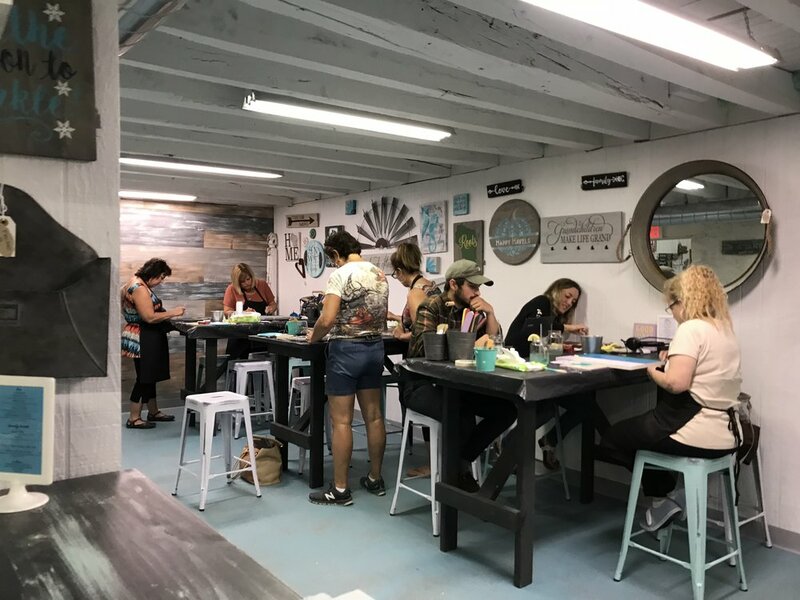 Relax, sip, and socialize while you create inspired signature art in our cozy, rustic workshop. Don an apron, roll up those sleeves and get ready to learn something new! Choose any project from our gallery including farmhouse trays, plank and pallet wood signs, jumbo clothespins, pillows and so much more! We provide everything necessary to complete the project as well as guided instruction during your time in our studio. Sip on signature drinks and local wines from our bar, laugh and let loose - the most important ingredient for crafting in our studio is you! Advance registration required! Sign up deadline for this DIY Workshop is Monday, August 12th.